Hello My Crafty Spot readers! It is Lindsay from My Creative Days back to share a fun project with you. I am not a person who decorates a lot for Valentine’s Day. 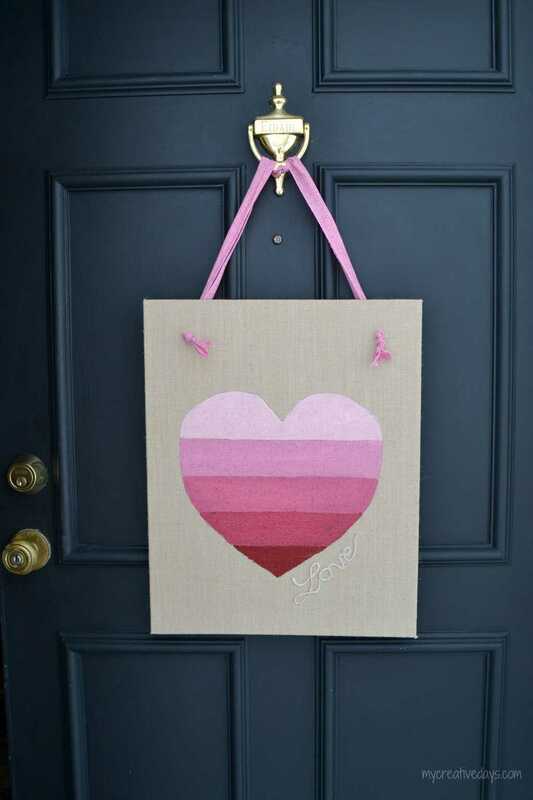 I do add a few things here and there and this year, I was inspired to make this Ombre Heart On Burlap project for our front door. I bought a set of burlap panels at Michaels last year. Hello, My Crafty Spot readers! I hope your new year is off to a good start! 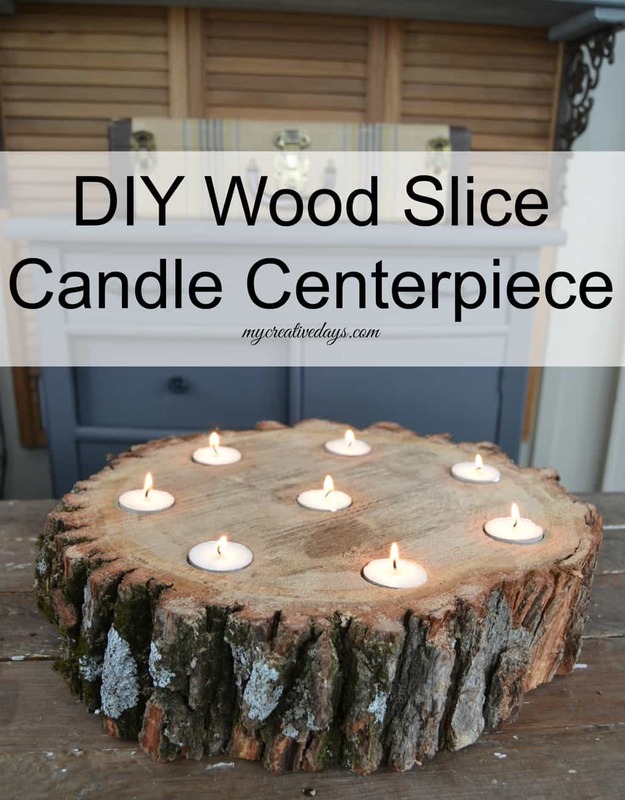 It is Lindsay from My Creative Days here to share with you an easy DIY Wood Slice Candle Centerpiece. Every year, on Valentine’s Day, our family has dessert for dinner! Fun, right?! We started this when our kids were little and they still love it and look forward to it every year. Now, I know some of you are saying dessert for dinner? EEK! I do add a lot of fruit to the dinner and we have smoothies that I add a lot of nutritional stuff to so it isn’t all bad. We always have a candle on the table to make the dinner even more special, but this year, I wanted to make an even bigger statement with a centerpiece for our candles. 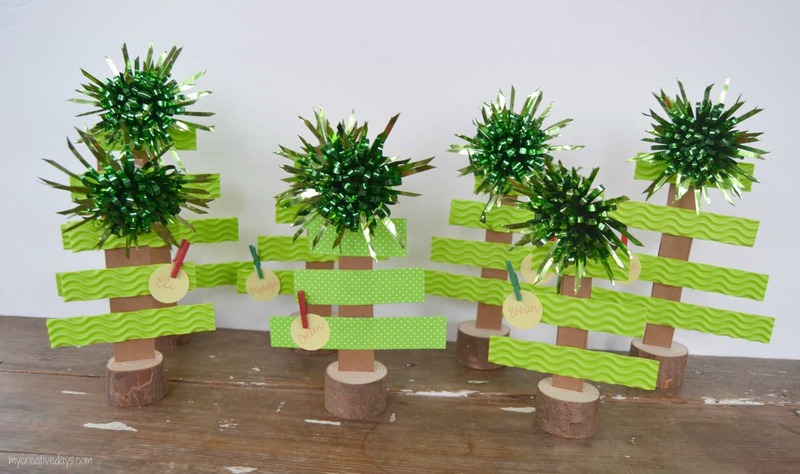 Merry Christmas My Crafty Spot readers! It is Lindsay from My Creative Days here to share with you Christmas Tree Place Cards that I made for the Gingerbread House Party we hosted at our house. I have been wanting to host a Christmas party for our kids and their friends for a long time, so I was so excited we were able to get everyone together this year. Hello, My Crafty Spot readers! 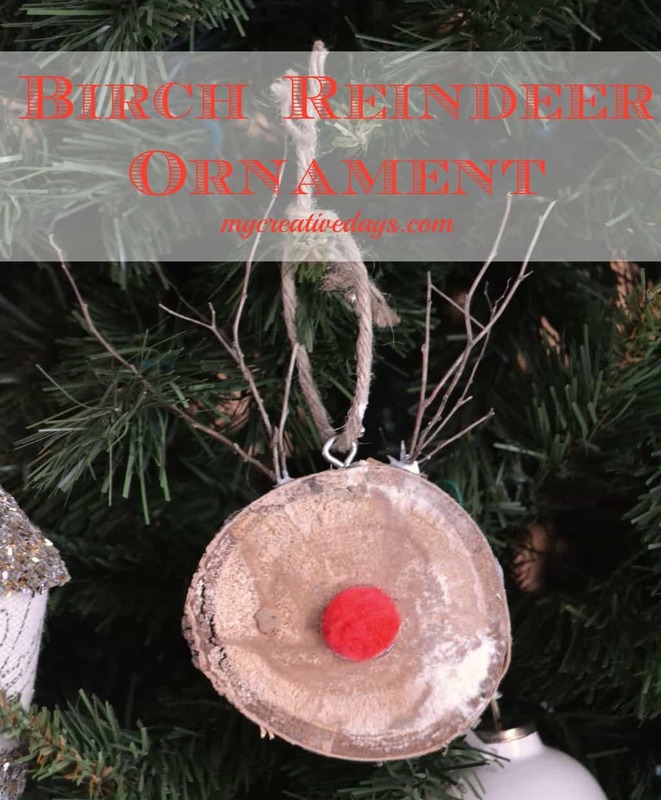 It is Lindsay from My Creative Days back to share an easy, homemade ornament with you today. When I was decorating for Christmas last year, I really wanted to add some natural elements to our home. I did this by bringing in branches and pine cones from the yard and I also made some birch ornaments.